The projected setup is indicated on the pictures. Competitive terrain set-up for upcoming Prague Open Warhammer 40k GT and Team tournament (180 players in total). All is MDF + printed texture (no need to paint, and has very easy assembly). 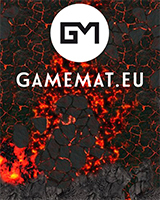 check out the range of othe terrain and battle mats!